In this busy world, speed is something very important. Even so happens in the world of smart phones. Speed ​​is a key factor that the user wants when choosing a smart phone. They are reluctant to wait a long while opening an app. To find out the fastest smart phone from the ranks of smart phones produced in 2017, David Cogen of TheUnlockr tried to test the speed of six best smart phone in 2017. To ensure the accuracy of testing, every smart phone is connected with the same WiFi connection and used to open applications and games the same one. The teachings of smart phones tested by Cogen include Essential Phone, iPhone X, Huawei Mate 10 Pro, Galaxy Note 8, OnePlus 5T, and Pixel 2 XL. The six smartphones are then compared to the speed performance and then selected the fastest smart phone. The winner is a smart phone with the smallest value, meaning it takes the smallest time in opening an application. 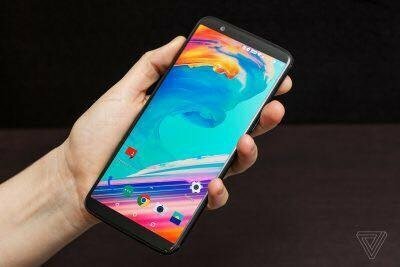 With just 18 points, OnePlus 5T became the fastest smart phone of 2017. This smart phone ranked first in the first two series of trials and never ranked more than four in the next test. Galaxy Note 8 becomes the second fastest smart phone, followed by Pixel 2XL, iPhoneX and Essential and last is Mate 10 Pro. Although there are some smartphones ranked lower or second from the bottom, such as iPhoneX, does not mean this smart phone lost everything. In some test sequences for example when opening the game, iPhoneX is in the first place. In conclusion, all smart phones are tested is relatively fast, the average difference is only 1 to 5 points. There are many factors that affect the speed of a smart phone. In addition to hardware factors, also the software factor, especially display interface or UI.